Maybe it’s a commonplace, or the power of suggestion, but when the cold weather arrives we all want to eat heartier dishes, besides wanting to eat more. After a hot summer when salads are so welcome, our bodies (and minds) gradually become used to the change in weather and by mid-November, with the first truly cold days, we know it’s time for ribollita (a hearty bean, bread, and vegetable stew, stufato (beef simmered until very tender, served as a stew) and other complex and mouthwatering dishes. 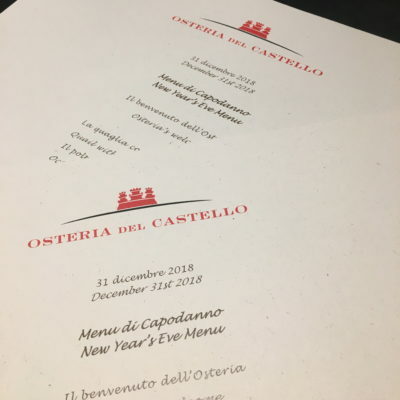 At the Osteria restaurant at Brolio, we’re satisfying this nearly unconscious desire for robust meals with our final menu of the year, which begins now and will be served until the end of the year. There’s ribollita, for example, as well as peposo (peppery beef stew) and much more, always with that light touch of contemporary cooking that has distinguished 2018. And then there’s New Year’s Eve, where we all arrive a little breathless – or maybe even exhausted – due to all the seasonal lunches and dinners which come before Christmas, as well as all the meals in the three key days around Christmas – the Eve, the Day itself, and the 26th, called Boxing Day by many. We’re allowed a small break from the 27th if we’re lucky, then we all start focusing on the 31st. Because the very next day after, the new year begins with all its usual resolutions where dieting almost inevitably holds pride of place. 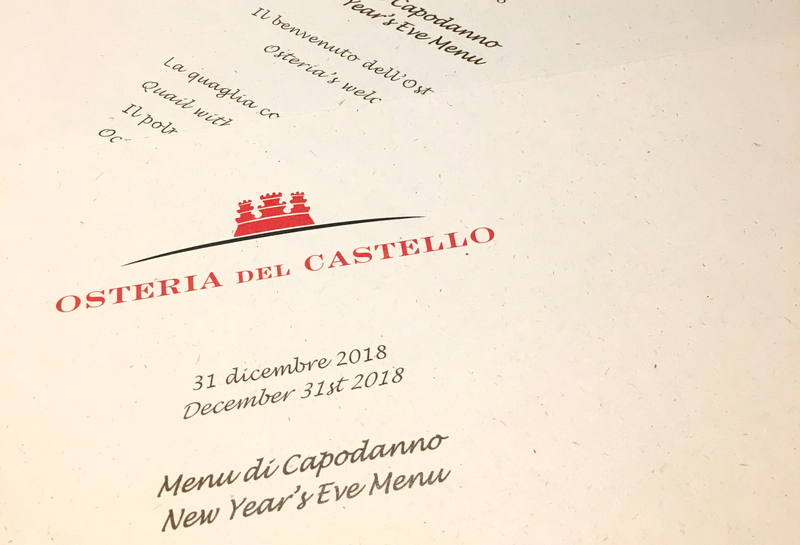 The famous Gambero Rosso restaurant guide dedicated an entire page and the award of a shrimp to our Osteria, and we’re celebrating. This year, we’re proposing a sensational New Year’s Eve menu, with service that’s even more sensational. 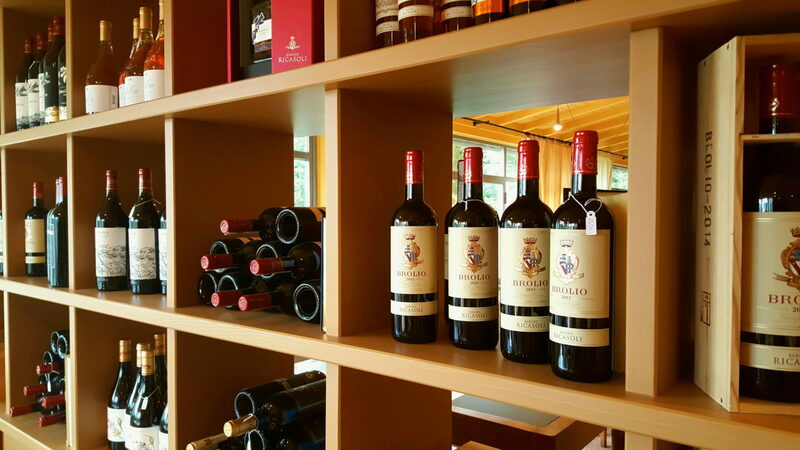 Without revealing too much, this service will include all wines served from signed magnums, presented with great attention by the staff on parade among the tables. We’ve heard that the rehearsals have already begun! 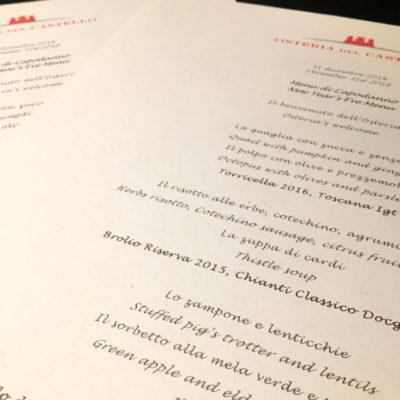 The menu includes not only Brolio’s great wines, but also Besserat de Bellefon from the Maison di Champagne of the same name, which Ricasoli itself imports here in Italy. This will be in a magnum a well, to begin the New Year with a dizzying pleasure that our guests will remember. 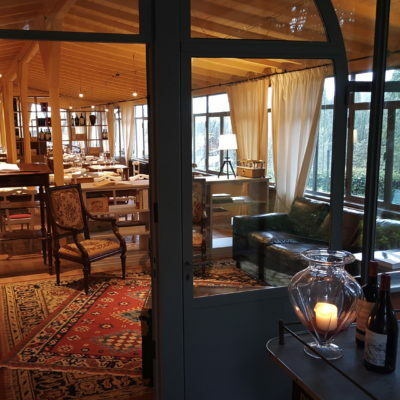 We’ve already booked a table, our favorite, the one in the corner near the wine cellar bookshelves.